New Orleans, oil on canvas, 24" x 28", 2010. 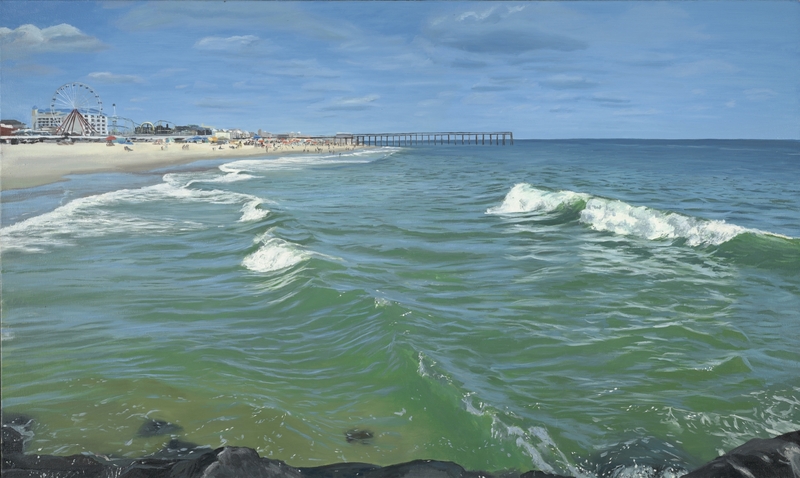 Boardwalk, oil on canvas, 24" x 40", 2010. 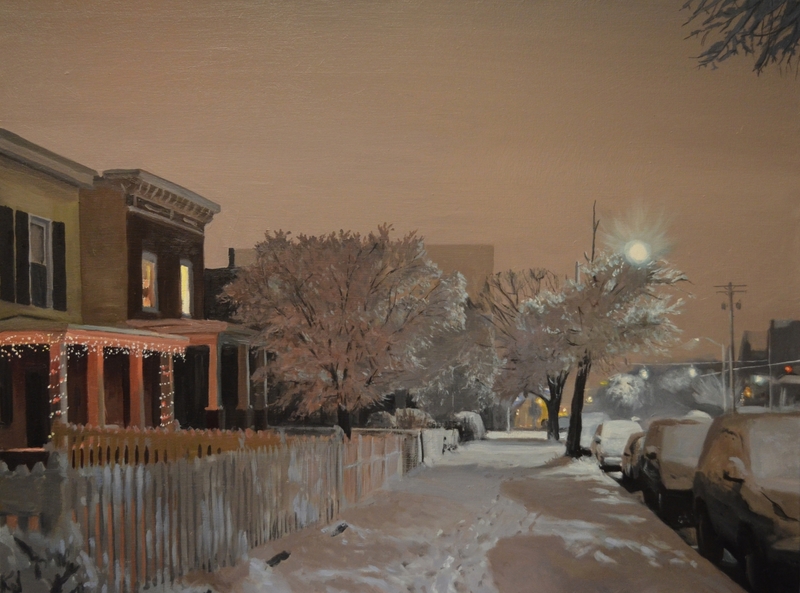 January, oil on canvas, 24" x 32", 2014. 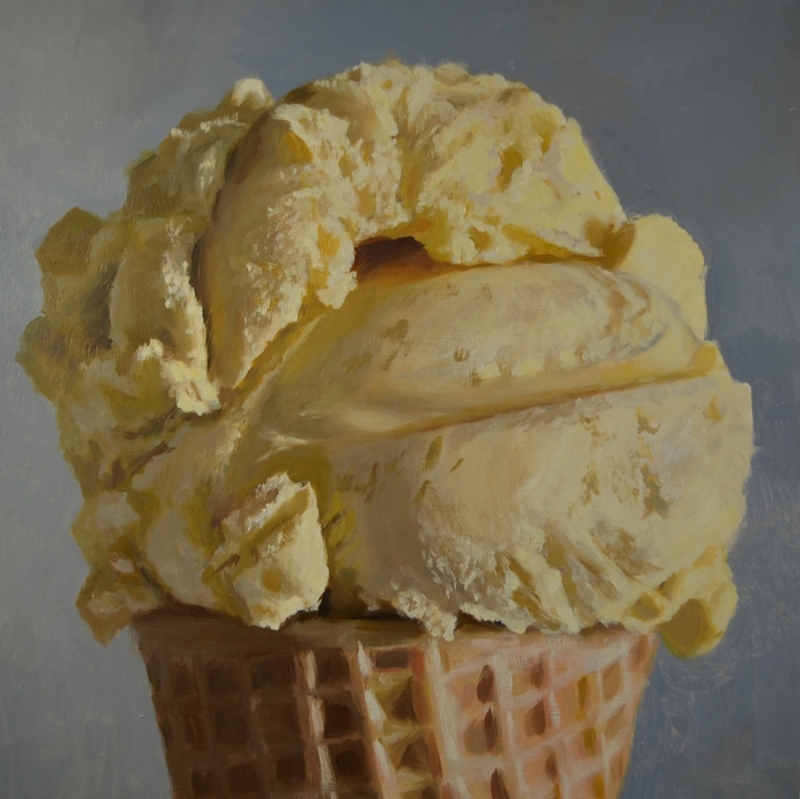 Vanilla Cone, oil on wood panel, 14" x 14", 2017. 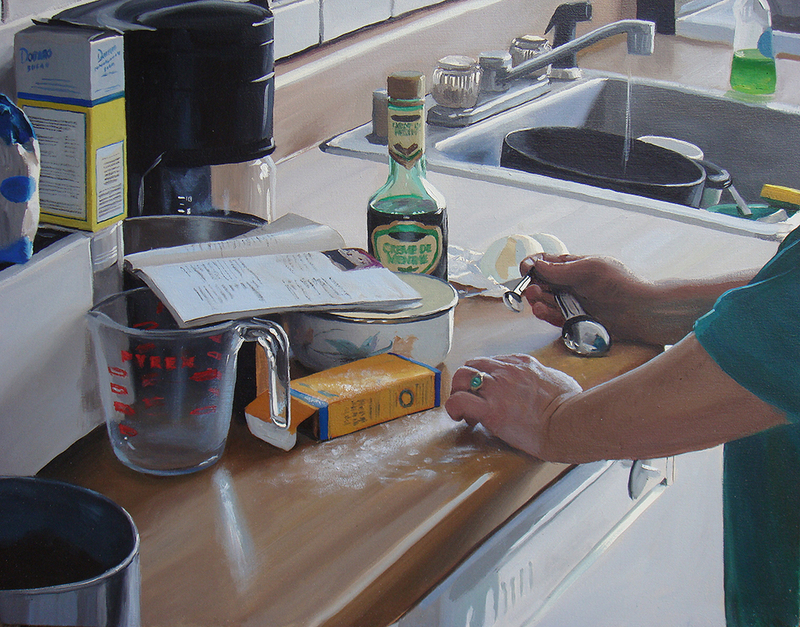 Kitchen, oil on canvas, 22" x 28", 2007. 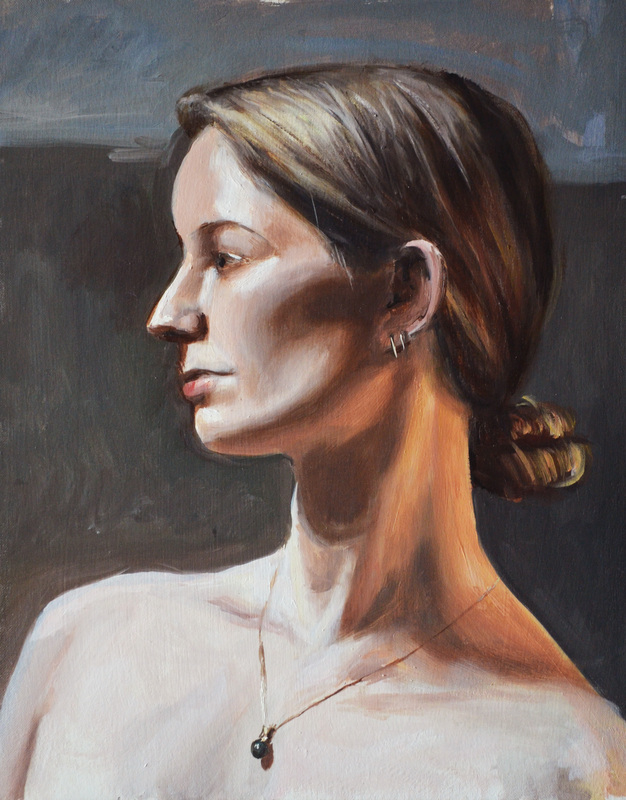 Megan, oil on canvas, 14" x 18", 2012. 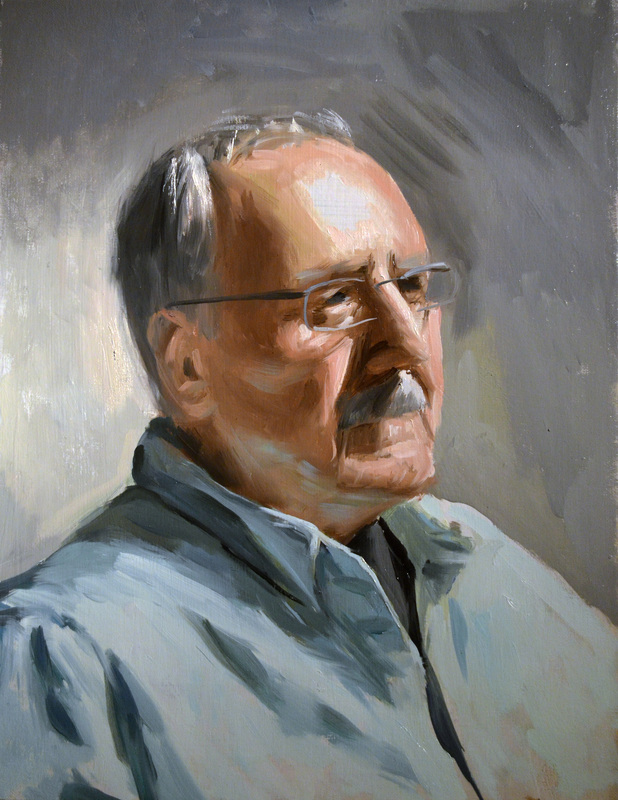 Paul, 14" x 18", oil on canvas, 2012. 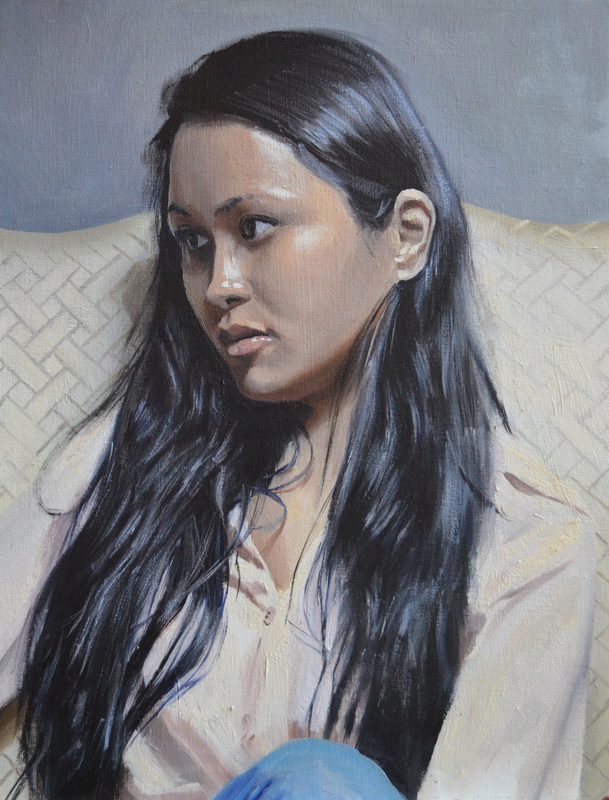 Aaliyah, oil on canvas, 12" x 16", 2012. 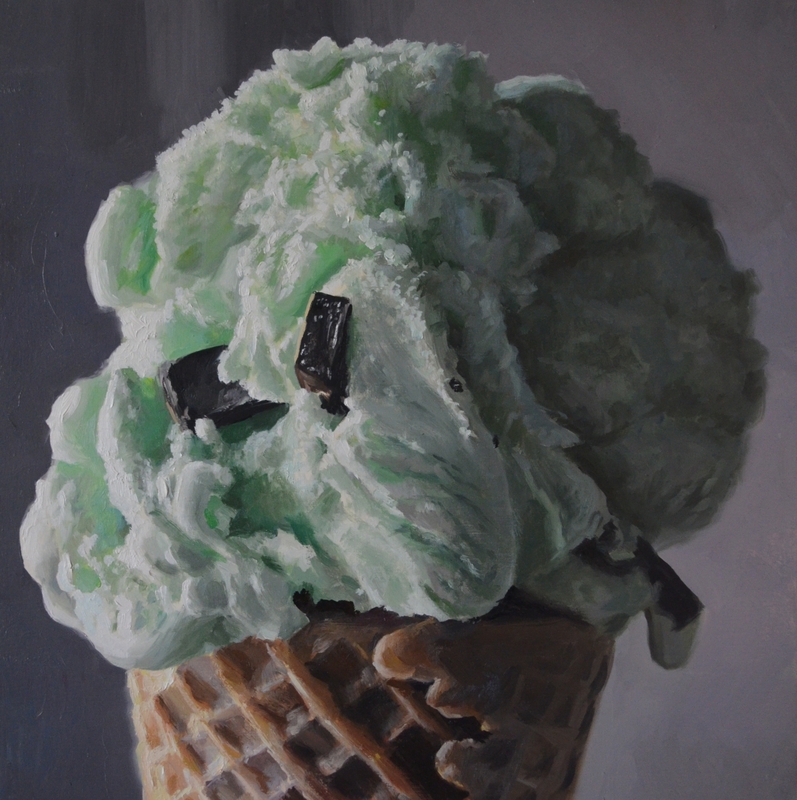 Mint Cone, oil on wood panel, 14" x 14", 2017. 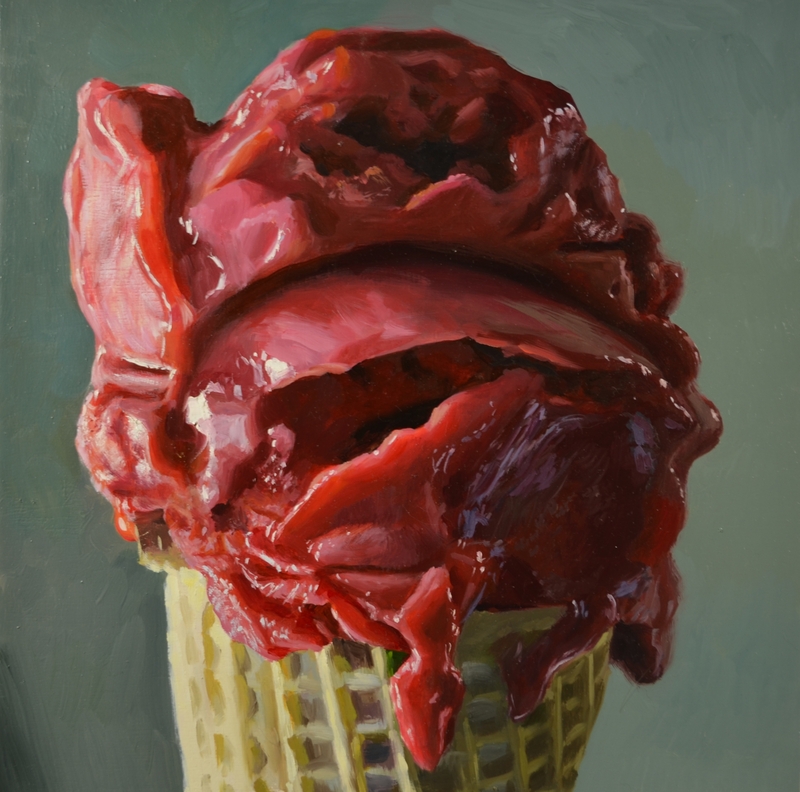 Strawberry Cone, oil on wood panel, 14" x 14", 2017. 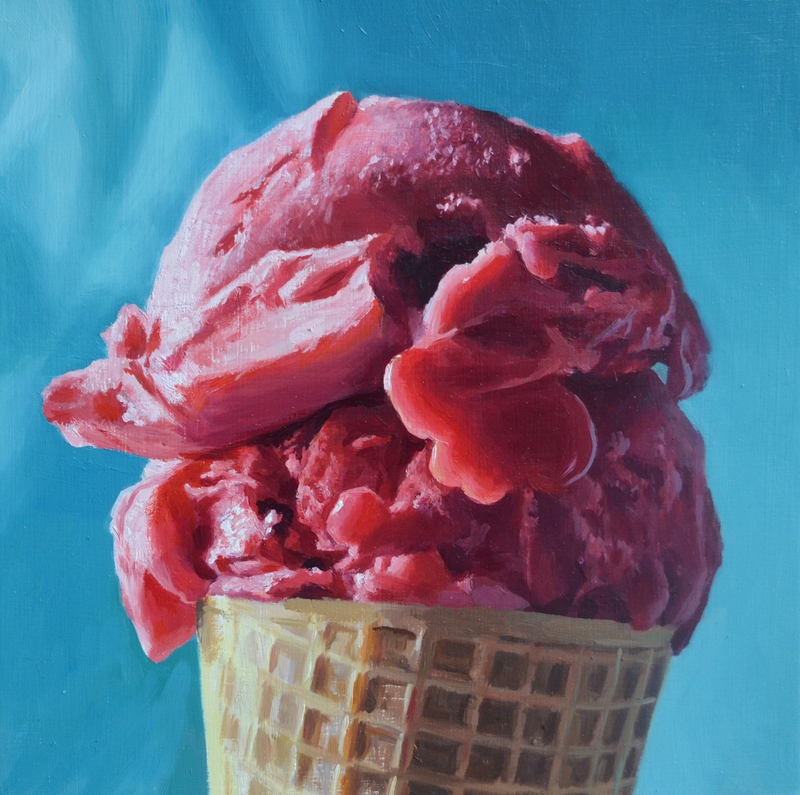 Raspberry Cone, oil on wood panel, 14" x 14", 2017. 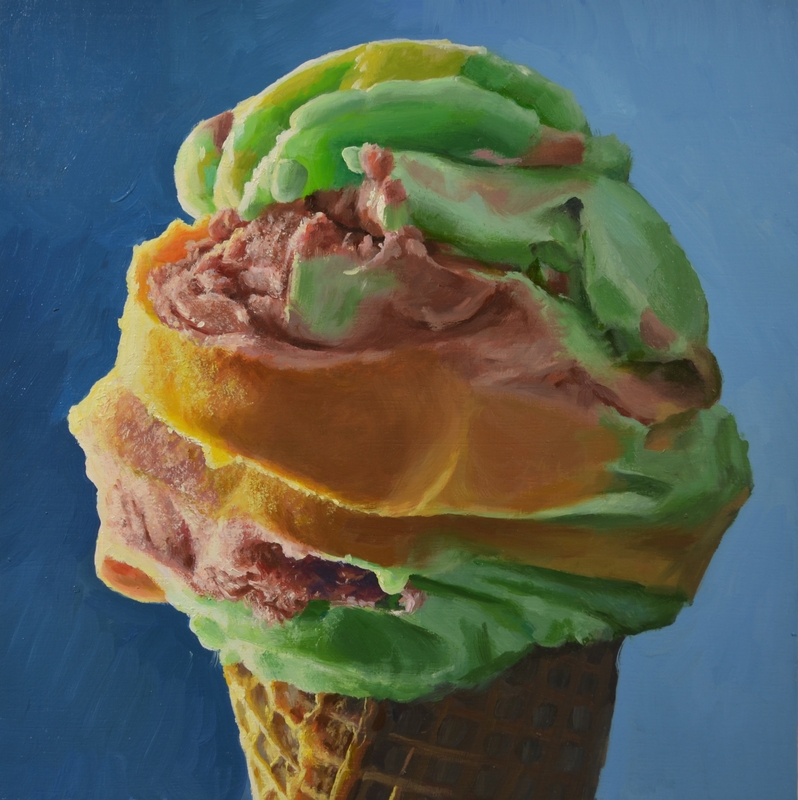 Rainbow Cone, oil on wood panel, 14" x 14", 2017. 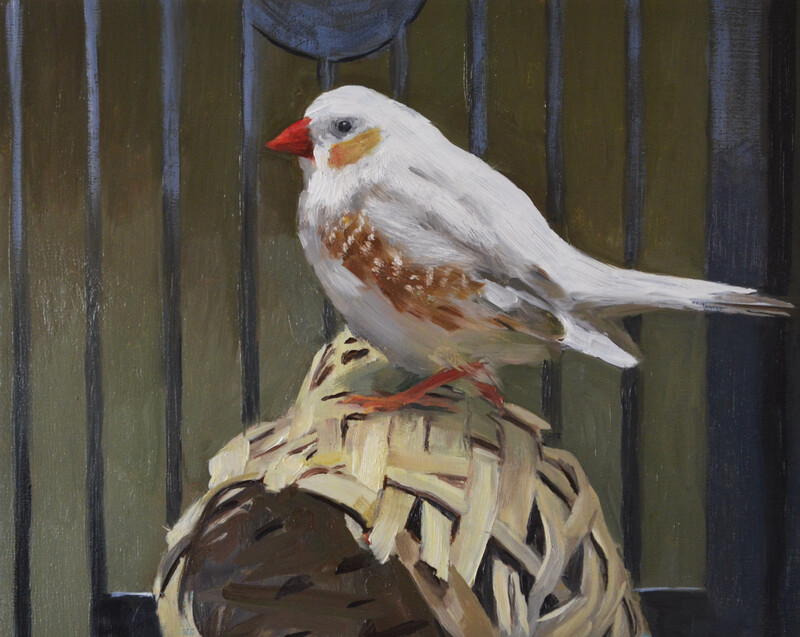 The Finch, oil on panel, 8" x 10", 2017. 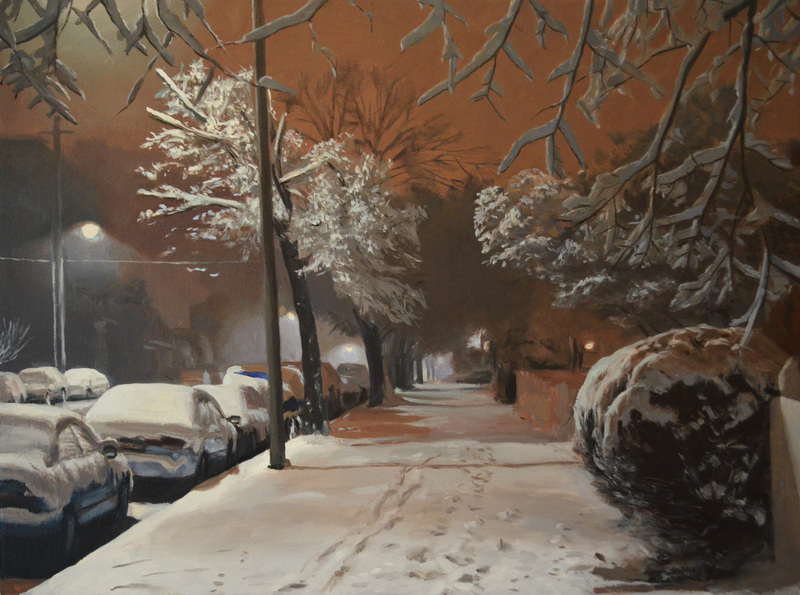 Snow Path, oil on canvas, 18" x 24", 2015. 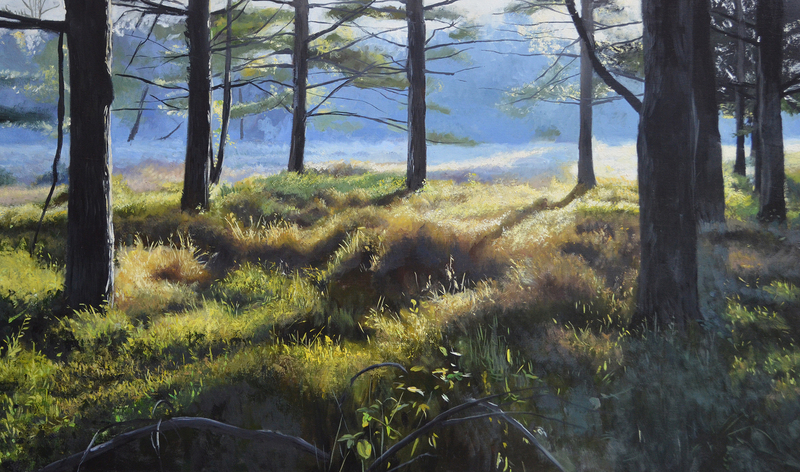 Loch Raven, oil on canvas, 20" x 40" 2015. 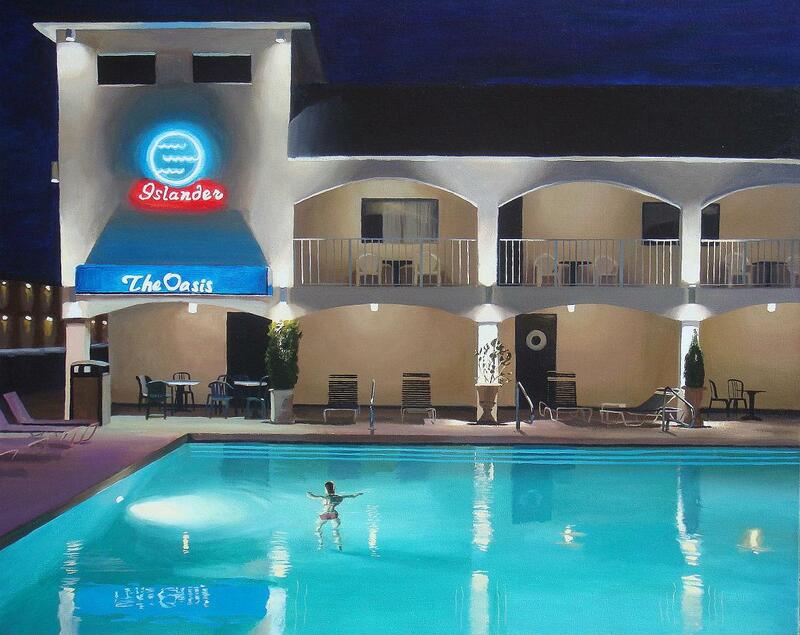 Oasis, oil on canvas, 24" x 32", 2007. 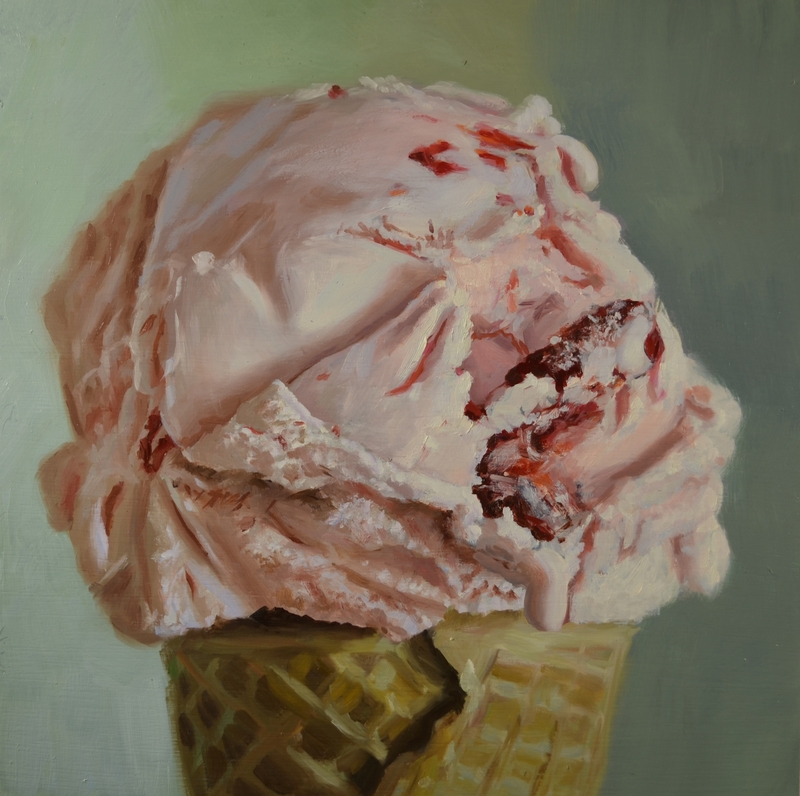 Raspberry Cone, oil on wood panel, 12" x 12", 2015. Patrick Kluga received a Bachelor of Fine Arts from Maryland Institute College of Art in 2001. He maintains regular studio practice of painting while working as a muralist and in restoration. He lives and works in Baltimore, Maryland.